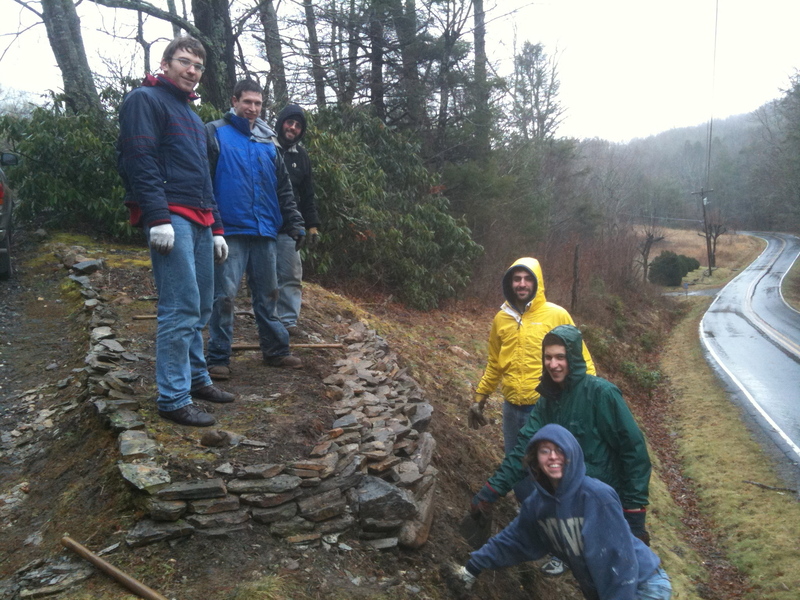 Konstantin, pictured top-left, and fellow Penn State OCF member Jennifer McClure rebuild a collapsed rock wall for a North Carolina resident with their fellow team members. Saint John Climacus wrote that, when a person decides to [do] a good deed, the devil puts three pits before him/her. The first pit is external circumstances that prevent the deed from being done. The second pit is concerns about personal gains when doing the deed. Finally, the third pit is a feeling of vanity when/if the deed is done… Very often I [couldn’t] even jump over the first pit. [I] suddenly realized… I am doing so little to help people from the town I currently live in. Of course, I might always say that [it is because] I am a foreigner in this town and this country, and helping people is not my primary concern. I will not be honest, though. Even when I lived in Russia, I was not doing much to help the people around me. Of course, I had an excuse for that too… For any other argument I [had] tons of other excuses readily available. Up until recently I felt reluctant to publicly express my Orthodox beliefs. At first I thought it was because I felt uncomfortable just in the US because people here are generally unaware of Orthodoxy. But last summer, when I travelled home, it was the same story. I felt as if I was leaving two different lives: in one life I was attending church, participating in sacraments, praying every morning and evening, keeping fasts, etc. ; in the other life I was sort of concealing my religion. I was recalling Mark 8:38: “If anyone is ashamed of Me and My words in this adulterous and sinful generation, the Son of Man will be ashamed of them when He comes in His Father’s glory with the holy angels.” Still I could not do anything about it. Konstantin attempts to teach some Russian phrases to newfound friends from the Detroit area. So, [if] I am afraid that people will not understand or share my religious views—as a matter of fact, a lot of people do not understand [or] share my religious views—so what!? There is nothing extraordinary about this fact. Christianity has been dealing with misunderstanding from the very beginning. 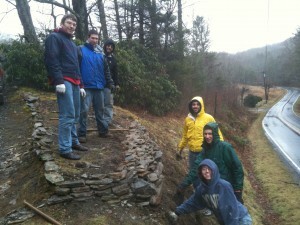 If magical things can happen to me, the Appalachian Mountains mission trip was one of them. Could I ever imagine a better beginning of Great Lent: Wonderful people around me, thrilling views of Appalachian Mountains, devoted prayer, thought provoking discuss-ions, and a lot of fun and fooling around? Truly, it takes a long trip to start noticing obvious things in one’s backyard. Thank God right now nobody is trying to torture me for my beliefs. It is my love for Christ in people which should motivate me in my public expression of my beliefs. It should be my tiny mission to show people the right way.